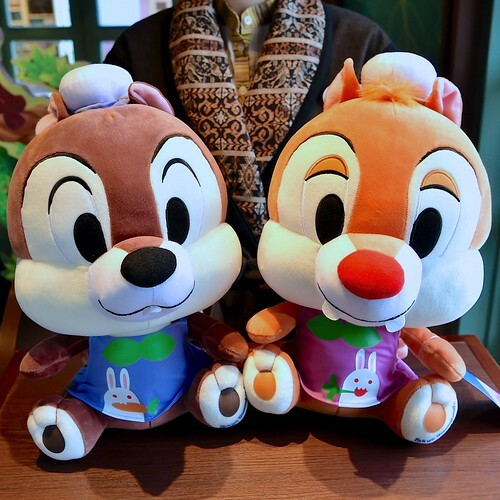 At the new carnival-like game booth that opened last December at Tokyo Disneyland, guests have a chance to win a giant plush toy of Chip and Dale. 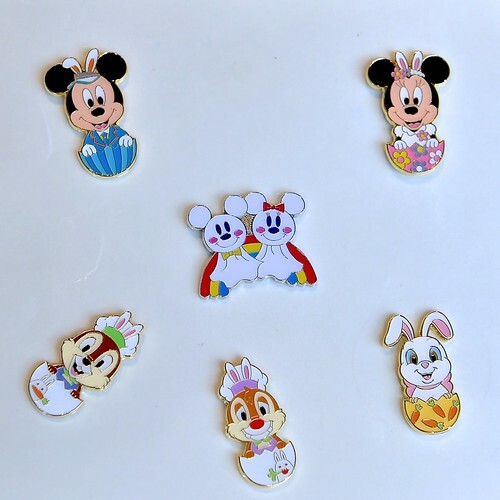 If that doesn’t work out, the consolation prize is a pin of a Disney character in Easter garb. Here we have Chip and Dale wearing shirts with a simple white rabbit graphic. Chip’s rabbit is munching on a carrot while Dale’s munches on a turnip. Should you win, you get your pick of one of the chipmunks. If you want both of them, you would have to play and win again. Should you lose, don’t despair! There are seasonal pins which you receive as consolation. Pin collectors, be sure to lose it to win it! Following the Easter theme, Mickey and Minnie sit in Easter eggs. Chip and Dale more closely resemble their grand prize counterparts with the white rabbit design on their eggs. Then you have the mascot for the seasonal event in the form of one of the many white bunnies you will encounter throughout the park, cupped with a carrot patterned egg. The pin in the middle is much harder to acquire. It depicts Mickey and Minnie as teruteru bozus which are Japanese handmade dolls fashioned from white cloth and meant as lucky charms to bring about good weather or to keep away rain. Ironically, the teru teru pin can only be acquired on rainy days. Along with Easter, Disneyland also celebrates its 33th anniversary on a quieter note. 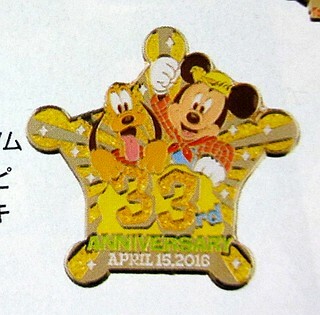 They do so by releasing a commemorative pin fashioned after the classic Country Bear Theatre. 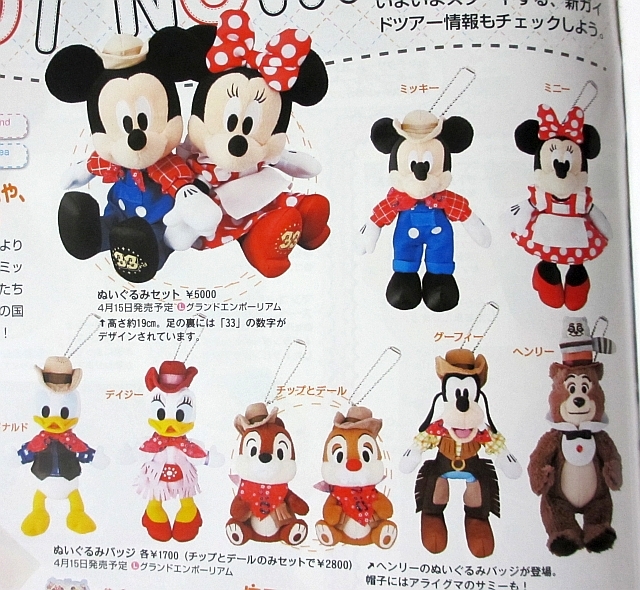 A limited number of Disney characters in Western costumes are released as plush toys. From the Country Bears, only Henry is released in the plush line. Mickey and Minnie plush set comes at a height of 19cm and is available along with its smaller key-chained versions. Images are credited to MezzoMiki.